How do you feel when your favorite song comes on the radio? Does it make you feel happy? Do you feel inspired? Does it help to give you the focus you need to make it through your work day? The fact is that music can provide us with a number of terrific benefits. Greatist has put together 20 surprising science-based health benefits of music that are worth a review. Music has been proven to enhance blood vessel function. It can help people to eat less or get more sleep of a better quality. One of the best things that music can do is provide stress relief. If you want to find out how to distress quickly, then owning the best music for stress relief is an investment that makes sense. Certain types of music are known to induce a meditative state. Musical beats that are slow and methodic can alter the speed of brainwaves. Not only can this produce a state that is similar to that which can be achieved through meditation, but it can even produce hypnotic states. Musical rhythms can ease migraine symptoms, reduce behavioral issues, and have multiple therapeutic benefits. But what music is the best music to accomplish your goal of stress relief? Listening to music has an effect on the body that naturally relaxes it. Classical music that is slow and quiet tends to produce the best results in this area, but any style of music that is personally pleasing can help to calm frayed nerves. When the body encounters music, it has the ability to change physiological functions. Calming music can slow down a rapid heartbeat, lower blood pressure, and reduce cortisol levels in a matter of minutes. At the same time, music acts as a distraction. It prevents the build-up of stressful feelings because the brain is preoccupied by the rhythms and melodies that music produces. It stops the fixation that can cause stressful feelings to fester, resulting in higher levels of cortisol. Yet when people feel like they are stressing out, the first thing they tend to avoid is music. Why does this happen? Sometimes people feel like listening to music would be a waste of time. Others might feel like they don’t have the right type of music available to them so they can calm down. Productivity goes up when stress goes down. Happiness goes up when stress stays down. So any music is better than no music. If you have a radio and you feel like you’re stressing out, then turn it on. Put on your headphones and listen to a favorite playlist. Even singing a song in the shower (however badly) can release the tension that stress may cause. This is why music is and always will be one of the best options available for effective stress relief. Music being used as a tool to help people distress quickly is not a new idea. The history of music therapy stretches back for hundreds of years, with formal therapy options appearing in the United States after the conclusion of World War I. The earliest published references for music therapy occurred in 1789. An article entitled “Music Physically Considered” was published in Columbian Magazine. Many early dissertations about the benefits of music in therapy were also published in the early 1800s. Recent scientific research into the benefits of music has determined that there are 6 key benefits that can be realized when it is used for better health. #1. Music can provide communication and coordination. When children listen to music, the form and structure of the rhythms and melodies help to provide an added level of security to those who are experiencing stress. #2. Music reduces anxiety. When patients listen to music before and/or after a surgical procedure, the amount of anxiety they experience is reduced compared to those who don’t listen to music before a procedure. #3. Music can reduce or eliminate pain. People who listen to calming music can reduce the sensation of pain they experience, whether it is acute or chronic pain. Music has also been shown to be effective for those who are dealing with post-surgery pain. #4. Music reduces the feeling of being overwhelmed. Stress doesn’t cause burnout, but it can be the foundation of an emotional response that creates it. Making music can help to improve a person’s mood. The act of making up your own song taps into personal creativity centers that counter the negative emotions cortisol can cause. #5. Music can ease depression and improve self-esteem. Seniors in the 65+ age demographic who listen to music can relieve some of the physical symptoms of depression. Those who listen to music on a regular basis in this age group also give themselves higher self-esteem ratings. #6. Music creates emotional stability. From cancer patients to busy professionals, music has the ability to reduce the personal distress that someone may be experiencing. This allows for that individual’s quality of life to be increased. 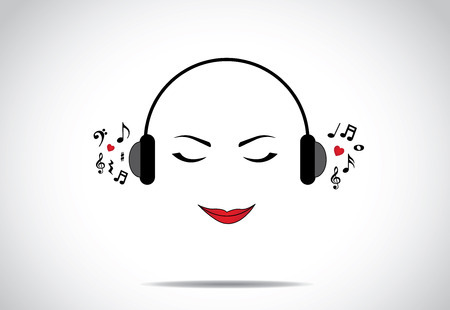 Certain types of music are known to help encourage a meditative state. In helping the mind slow down, the brain can use meditation to begin understanding stressful events. The emotional centers of the mind are able to rest, which can be just as restorative as a full night of sleep in some instances. Except not every form of music is beneficial for meditation. When music has no structure to it, then the experience can be unsettling instead of relaxing. Music should be comforting, like experiencing a familiar melody, but not so distracting that it makes you want to sing along. The goal is to produce a sense of calm. You want the opportunity to feel centered. This is why the best music for stress relief tends to be compositions that are specifically created to produce a singular mental effect. Listening to a musical composition that is intended to produce deep sleep, for example, is more likely to create a desired result than listening to heavy metal. Music that incorporates natural sounds can also enhance the soothing experience. Rushing water, incoming waves, or even crickets can help people to imagine a calming image. If a person is imagining themselves sitting on a beach, listening to the waves come in, then they are no longer focused on their stress. What Is the Best Music for Stress Relief? There are many programs that are available right now that can promote stress relief through music. They are all effective at some level. For the most part, any music is better than no music at all. The best music for stress relief is designed to help people relax and calm down, even after the toughest day. It should provide consistent results, no matter how often you happen to listen to the composition. This is why I prefer the musical compositions and programs of iAwake Technologies or Inspire3. There are four programs from iAwake Technologies that can be used to distress quickly from the events of a bad day. 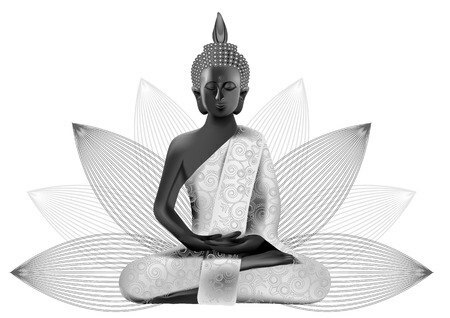 Audio Serenity is a program which helps to release emotional stress. Once the emotions that cortisol can produce are effectively managed, it becomes easier to handle the situations that have occurred so they too can be managed. Profound Renewal is a program which is intended for deep relaxation. In our interconnected world, it can be difficult to shut everything off and take some personal space. Facebook, Twitter, email, texting… we speak with one another more than ever before. With this musical option, you can just lean back, listen, and let your worries drift away. 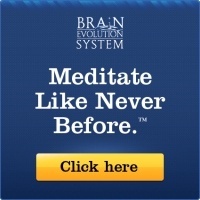 NeuroFlow is a program that lets you just chill. It’s perfect for those moments when you might have some acute stress that is bothering you. It’s also a nice program to have if you want to get prepared for a tough day or you need to recover after a tough day. If you want to distress quickly with music, this unique program will produce the results you want. Profound Releasing is a program that combines guided meditation with advanced brainwave entrainment technologies to encourage change. Oftentimes the greatest stresses we encounter in life come from our inability to let things go. We battle our thoughts and our feelings because we want things to remain the same, even if we know that change must occur. As a result, you feel more centered, feel like you have more energy over time, and feel more love and compassion for others. 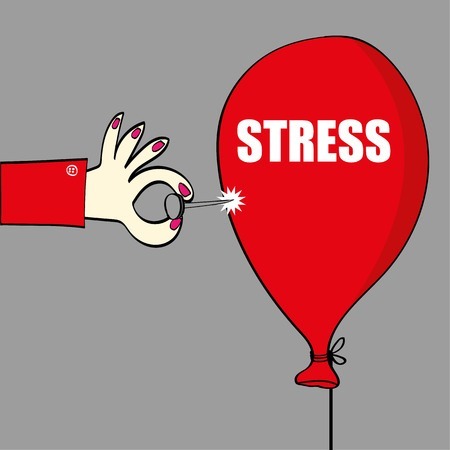 Are You Ready to Let Your Stress Go? Stress lingers because we allow it to stay. The first step toward finding peace and distressing quickly is to make the decision to change. We must be willing to embrace the benefits music can offer before they can help. There are many ways that music can help to relieve stress. Structured programs, like those from iAwake Technologies or Inspire3, can create specific results in a short amount of time. You can also take matters into your own hands. Listen to a favorite playlist. Sing in the shower or while driving in the car. Let music be the tool that changes you. There is no time like the present to experience the calming benefits of music. The best music for stress relief are the rhythms, melodies, and sounds that have a special meaning for you. Turn them on and the stress will turn off.